Blackboard Chalkboard by Ollie Stone: Signwriter. Brighton. Hove. Sussex. 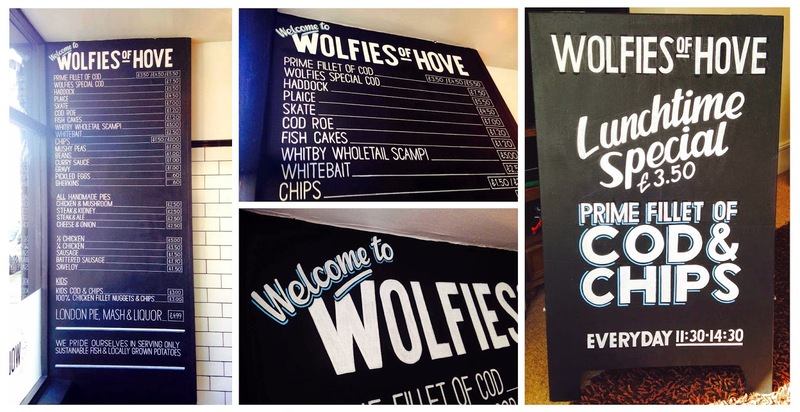 Wolfies Chippy.